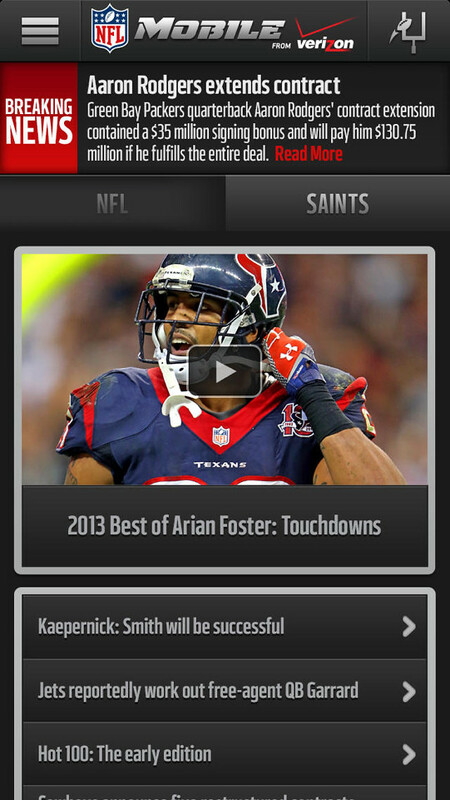 The NFL Mobile app has been updated with access to NFL.com/Live content for premium subscribers, Fantasy Lineup Reminder alerts, and other performance enhancements. 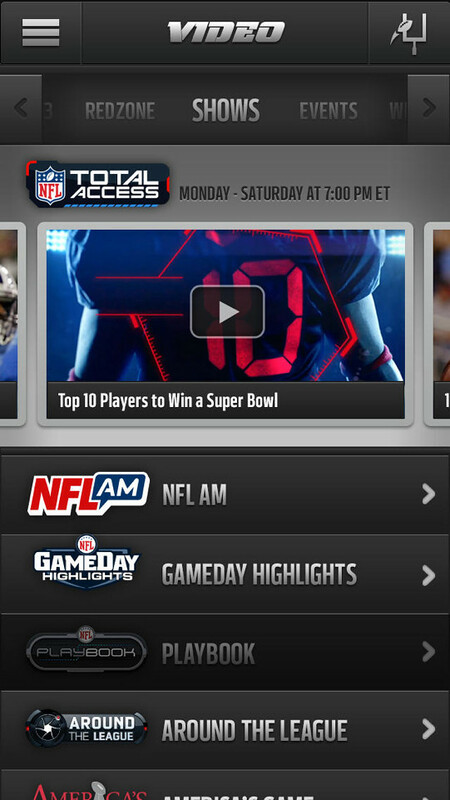 As the brand new, redesigned and rebuilt official app of the NFL, NFL Mobile is built to bring football right to your iPhone, iPad, or iPod Touch! 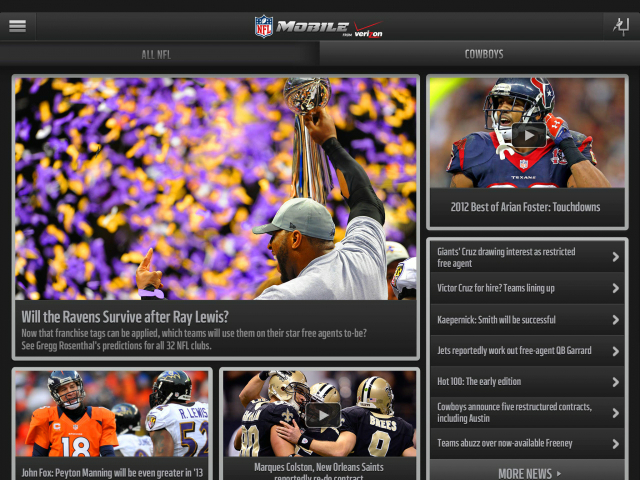 Breaking News, Video Highlights, Live Game Scores, Custom Team News, follow your Fantasy Football Team, and more! Verizon customers can upgrade to Premium Features for access to NFL RedZone on Sunday afternoons, and watch LIVE NFL games on Thursday, Sunday and Monday nights during the preseason and regular season. 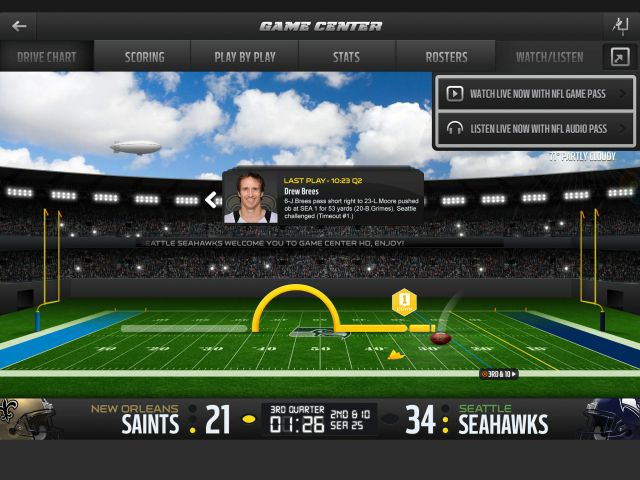 Premium Features also provides access to NFL Network 24/7. · PREMIUM FEATURES – Verizon customers can upgrade to Premium Features to gain access to live streams of NFL RedZone on Sunday afternoons, LIVE NFL games on Thursday, Sunday and Monday Nights, and NFL Network 24/7. 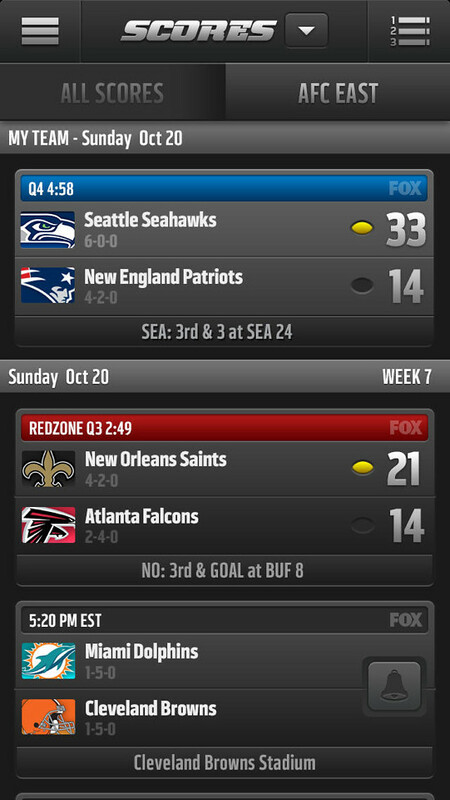 You can download NFL Mobile from the App Store for free.